Uniting all coin communities while increasing utility through mass adoption. Pokereum is an experimental contemporary community driven idea of using flat virtual decentralized autonomous organizations (DAO) to manage and develop a decentralized application (DAPP) that solves the mental poker problem using Ethereum smart contracts, Telehash mesh networking and a consensus network. The Poker app or DAPP basically lets you play a game of poker while ensuring random number generation and card shuffling are fair and transparent while reducing cost for poker players, reducing the possibilities of collusion and enabling cheap boundless payments and withdrawals using cryptocurrencies and smart contracts. Mechanisms to enable easy on-boarding of non crypto-currency users and stable value crypto currencies are detailed in the white paper. 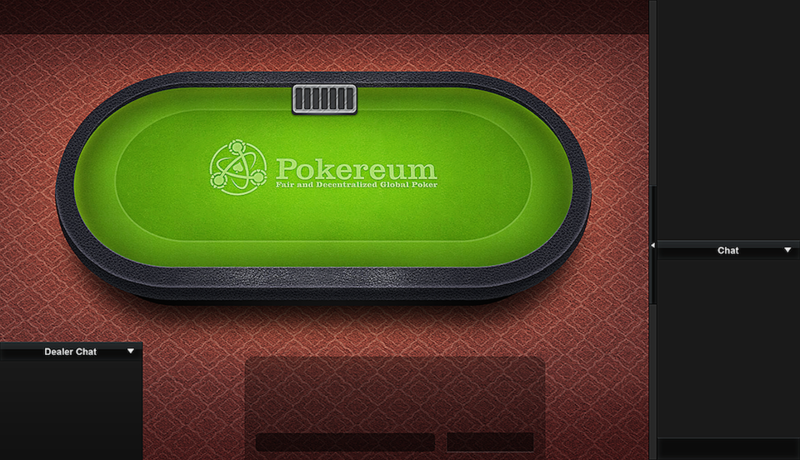 Pokereum, the Ethereum - Telehash based provably fair decentralized poker DAO & DAPP project is intended to unite all coin communities and spur mass adoption of crypto currencies. The Dapp aspect is made possible through the use of smart contracts, a unique proof of stake/participation based jury consensus system and a mini blockchain weakly subjected to the Ethereum chain. The Pokereum poker app is a DAPP(decentralized app) managed by the evolving Pokereum DAO (decentralized autonomous organization): a collective community people from all coin communities working together to achieve a common goal, voting on key issues and direction and development of the Pokereum DAPP, assisted by DAO delegates and autonomous agents. 100 million tokens total, 7 million given out for free. 5 million during the crowdfunding period. 2 million given out before crowdfunding for marketing help. Multiple random inputs from jury pool nodes are sent to contracts and combined for an increased entropic seed to random number generation, generating multiple encrypted decks by adding and increasing nonces. Multitude of encrypted cards and keys can be generated and stored in decentralized storage until ready for use by the network. The Pokereum DAO is in charge of the management of the Pokereum DAPP. Most of all, no promises made, no outcome is certain. This is an experiment and you are welcome to be part of it, to help dictate its future. Thank you. Does this even have anything to do with Namecoin? Anyway, this doesn't belong in project direction, because it certainly has nothing to do with the direction of the Namecoin project. josephbisch wrote: Does this even have anything to do with Namecoin? This still seems not appropriate for the project direction section. What would be interesting is a decentralised poker somehow based off Namecoin itself. Decentralisation will be implemented with Ethereum smart contracts. We will use asymmetric encryption and traditional solutions presented in the mental poker space to ensure players will know cards depending on the phase of the game. Thanks for your question! let me know if you have more. Agree, where should it be moved to? One of the Marketplace forums? General discussion? Off topic?